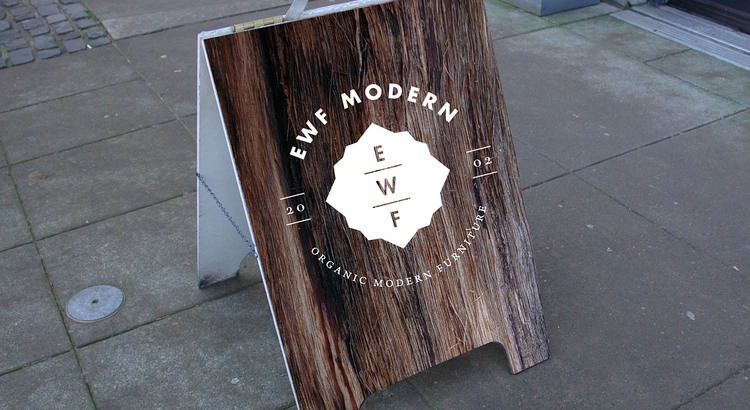 Behind EWF Modern is the fundamental philosophy that design takes its cue from Nature. Renee Russo of EWF stocks her Portland Pearl district showroom with sophisticated modern furnishings and accessories, all made with organic properties, clean lines, soft sensuous shapes, and the tactile treasures of nature. With their logo redesign, we sought to capture these core qualities into a mark that reflects all that EWF stands for.